All Water Charters is an owner operated charter boat company that’s run by Florida Native Captain Kyle Kelso. He specializes in catching a variety of species in many depths of water, while making sure you have a fun and memorable experience. All Water Charters takes anglers out on private Key West fishing charters. 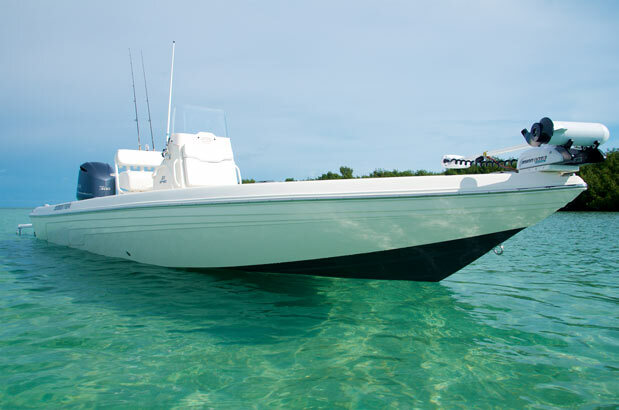 These types of charters include backcountry fishing, flats fishing, wreck & reef fishing, and other custom charters. Capt. Kyle Kelso takes pride in making a day out on the water that is custom tailored for his customers’ skills and desires. Depending on what you would like to go after in your day, you could hook up to several different species including tarpon, jacks, barracuda, sharks, bonefish, grouper, snapper, permit, cobia and more! Key West has the best assortment of fish compared to anywhere else in the country. Unlike some charters, Capt. Kyle asks what you would like to go after throughout the day so that you get the best possible, personal fishing experience. See some catches on the photos page. The outer islands of the backcountry and the shallow flats are pristine estuaries with extreme amounts of wildlife. Some people are so taken back by how beautiful our shallows are that they even forget they are supposed to be fishing! Some anglers who have visited for several days, go out on a variety of fishing trips to maximize their species caught. For example, flats fishing or backcountry fishing one day, fishing the reef the next day, and then going deep sea the final day. Some have said that they have gotten into over 20 species of fish in the time frame that they were here. Thats a pretty mixed catch! *Only in town for a short amount of time? No worries. The best bang for your buck would be to go backcountry fishing. You can get to see the shallows, maybe shoot out to a patch reef just outside the backcountry, and latch onto some big sharks later in the day. Fishing the backcountry is good for up to 4 people on a bay boat. Wouldn’t you like to speak to the guy who’s going to be taking you out on your fishing charter versus the guy who just answers the phone? Some people don’t mind, but if you want to get the best idea for what you are going to accomplish for any given charter, it’s best to book direct. Also, expect to pay more if you book through a hotel, concierge, or a booking company. Captains have to pay for that service if you don’t call direct. Only your captain can give you the best explanation of the type of charter you would like to book. Contact Captain Kyle Kelso today to book your fishing charter. 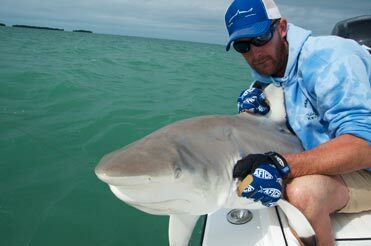 Best Key West Fishing Season? Fishing around the outer islands, nearshore, and offshore changes so much around the year that it is almost impossible to tell someone when it is the best time of year to go out on a charter. We typically ask people what they are looking to go after. Depending on their answer can give a better understanding of when it will be best for them to go fishing. Also check out the Key West Fishing Report. If you are looking to go after tarpon, one of the most popular game fish species in the Keys, recommend times are April, May, and June for the best opportunity. Permit are also good to catch in the spring if you catch them in their spawn. This can be done going to a nearby reef or wreck to find them bunched together. If you are looking to catch a permit on the flats, the summer and early fall are best. If you are looking for something not so specific in your day, maybe just a little bit of everything, the early spring or late fall/winter can do the trick. With cold fronts that move in and out, this brings bait into new areas and gives fish the reason to be actively seeking a meal. The cooler months of the year are definitely the ticket to catching a big variety of species, since we have a few select fish that thrive that time of year.